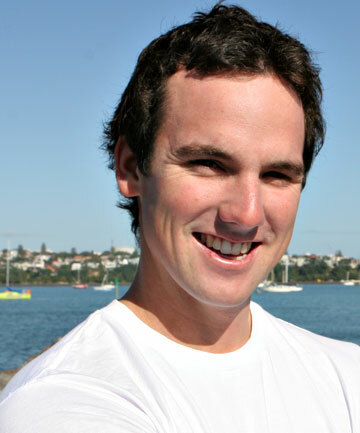 Kiwi Phil Robertson is trailling to skipper China’s America’s Cup team. Kiwi matchracing skipper Phil Robertson is on trial to helm China’s America’s Cup team. Robertson, currently eighth on the world matchracing circuit, is now in Sanya training on their new catamarans to fine tune China Team’s squad for the next America’s Cup World Series event in Naples next month. The rest of Robertson’s Waka Racing matchracing crew are also sailing the modified high performance Ventilo M2 catamarans at the China Team base. China Team have nominated Robertson and French multihull sailor Fred Le Peutrec as their training skippers, with the aim to ultimately select an America’s Cup skipper from the pair. The 25-year-old Aucklander and his young Waka Racing crew worked with China Team last year in the lead-up to the AC World Series event in San Diego. But this time the rewards are greater, with permanent places on the Cup crew up for grabs. Robertson has placed in the top three in more than 20 regattas in the past two years. Le Peutrec is a vastly experienced multihull skipper, having claimed three world records in the Jules Verne Trophy round-the-world race – with Grant Dalton in 2001, Franck Cammas in 2010 and most recently Loick Peyron earlier this year.